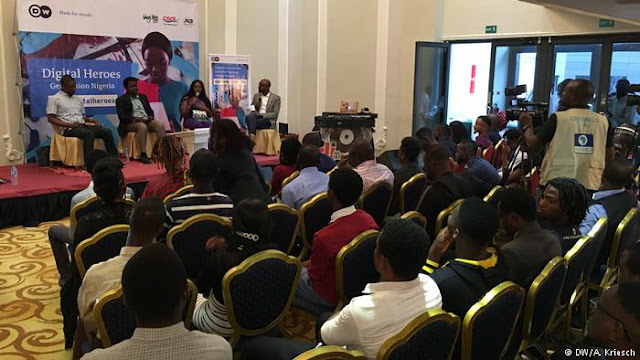 A life without social media is unthinkable for Nigeria's youth. In Lagos, Deutsche Welle distinguished bloggers who focus on environment issues. 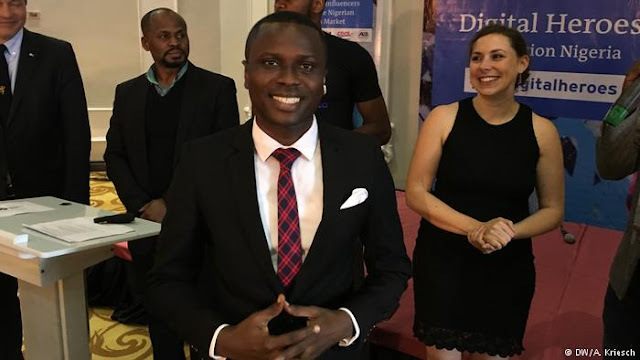 Solomon Sodeinde's photo gallery on the oil pollution in the Niger Delta has netted him a Deutsche Welle Blogger award and the top prize, a two-week internship at Deutsche Well in Germany. The jury - who chose a winner in each of three categories: photo gallery, video and article - praised his impressive, albeit shocking photos. Sodeinde (pictured above) went beyond taking pictures, said Claus Stäcker, the head of DW's Africa program, at Wednesday's award ceremony in Lagos. "He also conducted research, and looked at how the government and the local population can help improve the environment - and that really impressed us." The 33-year-old Nigerian will never forget his very first visit to the Niger Delta. In a village near the city of Warri, he drew water from a well to wash himself. "Are you crazy?" a villager warned him just in time. "Do you want to wash yourself with oil?" That was Sodeinde's first contact with the environmental disaster in the Niger Delta, a region where oil has been extracted for decades. Not much of the wealth trickles down to the population, however - instead, oil leakages are recurring incidents because people illegally tap the pipelines and because the pipelines are poorly maintained, which in turn leads to accidents. In 2011, the UN reported that not only would cleaning the environment in the region cost more than one billion US dollars (881 million euros) - it would take 30 years before all the damage to the environment was removed. People can't plant crops, they can't fish in this polluted environment, argues Sodeinde. Convinced there is "power in social media," he has taken action, and founded the African Youth Platform. 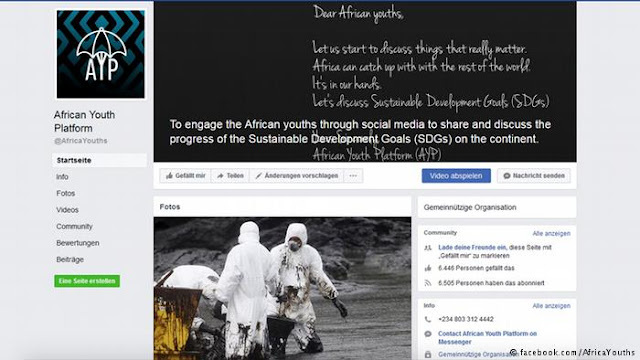 The aim is use social media to raise awareness among young people in his country for environmental issues. Digital changeAt the DW awards ceremony Nigerian media celebrities debated challenges and opportunities, with a focus not only on environmental issues, but also the rise of social media in Nigeria and how they interact with traditional media. .
"People want access to information on their devices, their smart phones," says Ariyike Akinbobola, a successful blogger and talk show host and presenter on Nigerian TV. When I tell young people when they can watch my TV show, they send me messages asking, "when is it going to be on Youtube? When you have the link, send it to us." Kingsley Uranta of Channnels TV, the country's largest news channel, reminded bloggers they also have a responsibility. Time and again, information that has not been checked and rumors reach the public via social media. "Social media is so powerful," says Solomon Sodeinde, the overall winner of the 2017 DW award, adding that above all, it's a platform for young people to be heard, and make themselves heard by the government. "It's the greatest tool we can use now," Sodeinde says.